Wicked is already one of the longest running shows in London’s rich tapestry of hit musicals and according to The Metro newspaper, it is a “modern classic” that shouldn’t be missed. Now entering its 12th year at the Apollo Victoria Theatre, London, this amazing musical is a Tour de Force that has now been witnessed by over 8 million theatre goers in the UK alone. 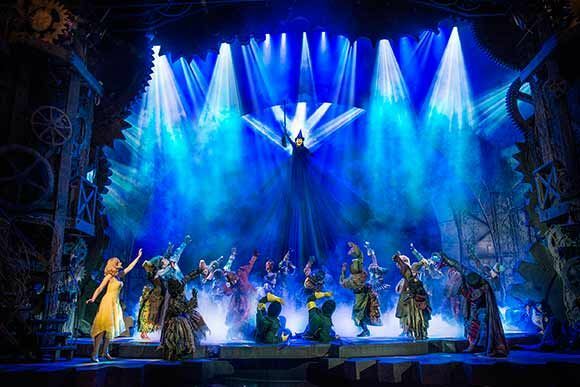 Having won over 100 global awards, Wicked has now enjoyed long runs in 15 different countries and has been seen by over 50 million people across the world! In this reimagining of the classic that is the timeless “Wizard of Oz”, Wicked the musical is based on Gregory Maguire’s best-selling novel of the same name. This musical provides a sideways look at the early, sorcery student years of The Wicked Witch of the West and Glinda, the Good Witch – a time which saw them as friends, rather than adversaries and tells of their adventures that eventually sees them fulfill their destinies in the original and timeless classic.